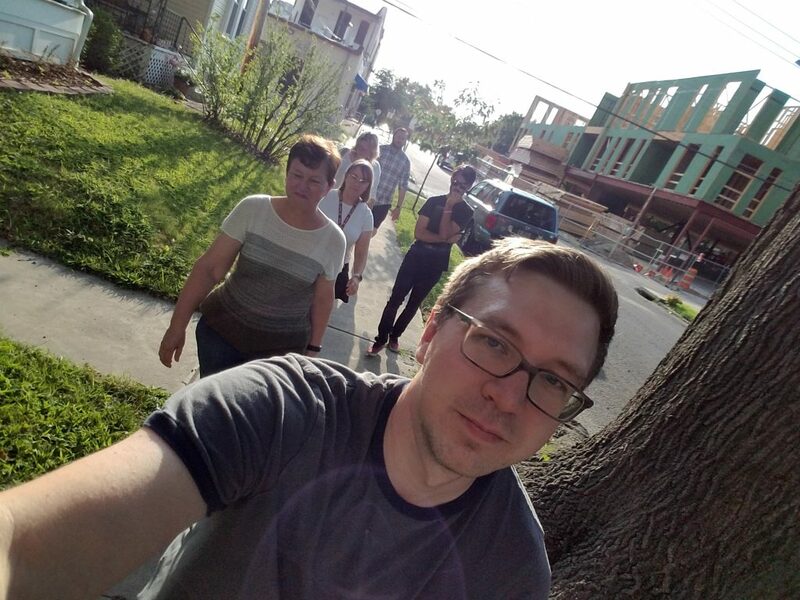 A group of people walks in a random direction. The person at the front is leading. When somebody wants to change the direction, he/she walks up to the front and takes over. The group always follows. Finally the group returns to the starting point (if somebody decides so). A Performative Walk #5 took place on Monday 26 November at exactly 8:00 pm. In this walk there were simultaneously two groups of ten walkers each. 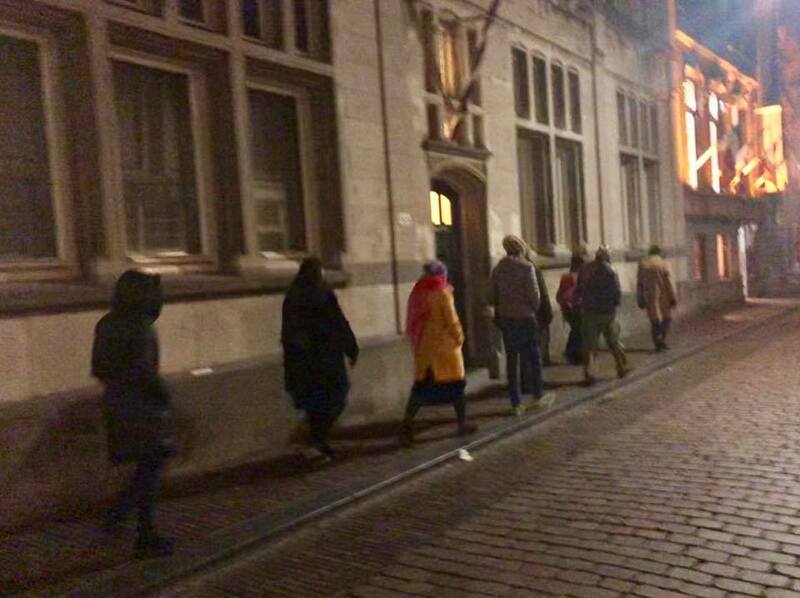 A Performative Walk #5 was part of De Grootste Tentoonstelling van Dordrecht, in the framework of 400 years Synode. 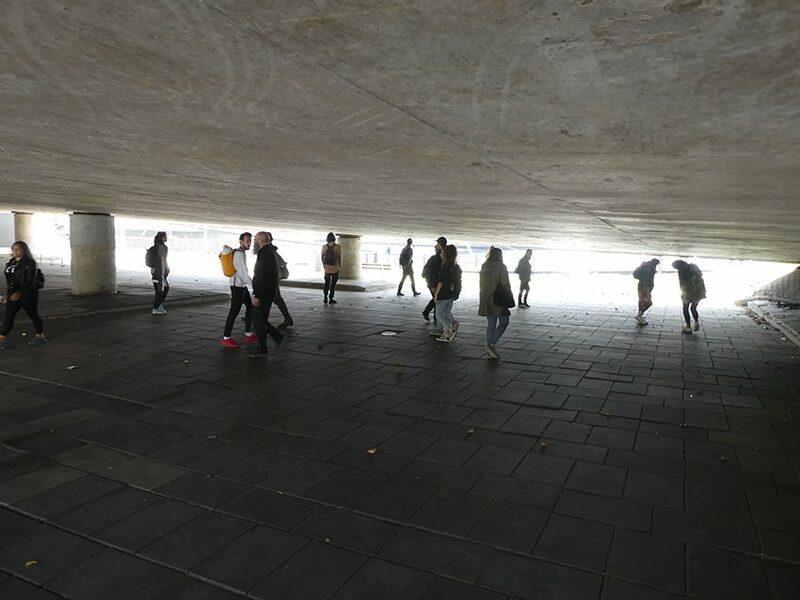 4 groups of students of the Willem de Kooning Academy (Minor Public & Private) carried out their own Performative Walks. 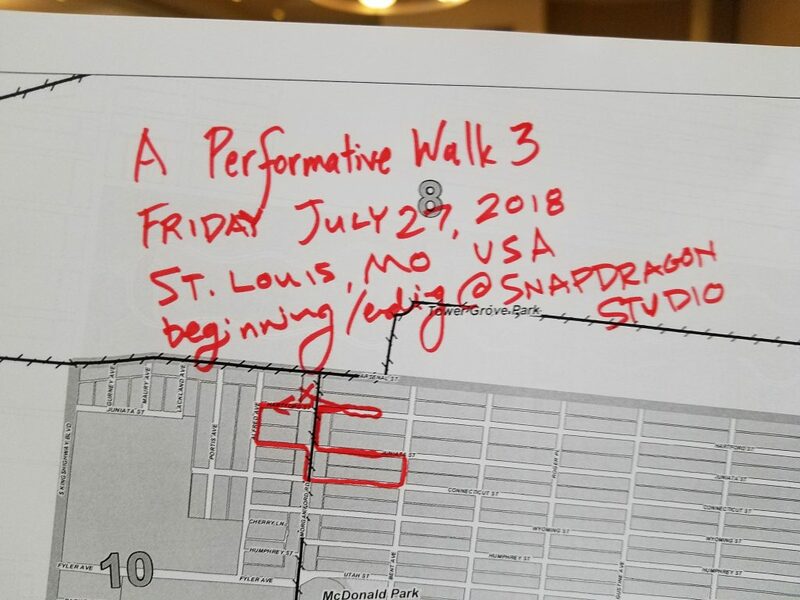 They started with improvised group walks Monday and during this week they elaborated these walks into detailled time-based compositions. The first group organised a saxophone player during the walking exploration of a studio, the second group split up several times in smaller groups (forced us to make instant decisions), the third one incorporated the very performative architecture of the 1970s in their walk and the fourth one walked with the ‘original’ soundtrack, recorded on their first walk on Monday. The work is a series of three successive daily group walks. The walks always start from the same place and at the same time of the day. -During the walk any participant who wants to take over can, at any moment, speed up to the front position and lead the group into another direction. -During the walk nobody speaks, all decisions are made by moving faster or slower. -If the group starts walking too fast, go to the front and slow the group down. (when somebody decides to lead the group back). 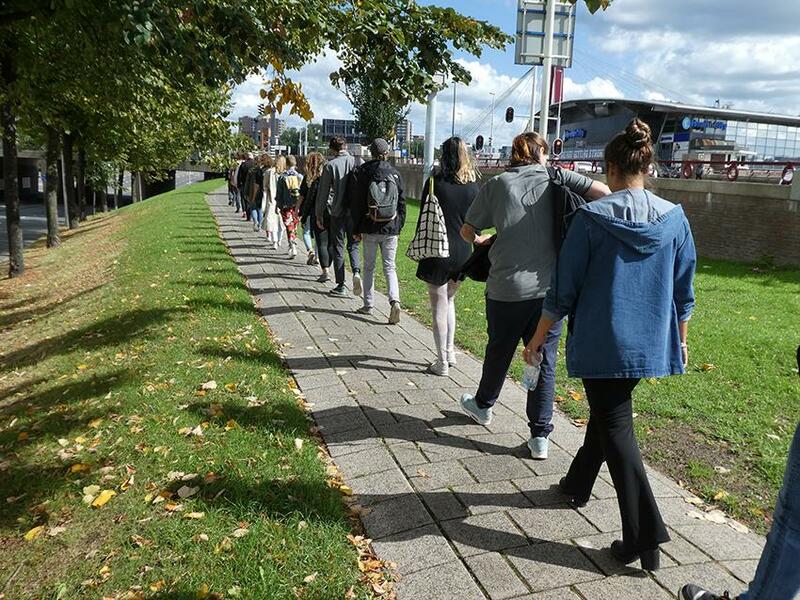 The work is a series of five successive daily group walks. Every walk started at the same place and at the same time of the day. Initially we repeated the route of the day before and then any participant could, at any moment, speed up to the front position and guide the group into another chosen direction. During the walk there is no discussion, nobody speaks, all decisions are made by moving faster or slower. The walks ended when the group returned at the starting point. 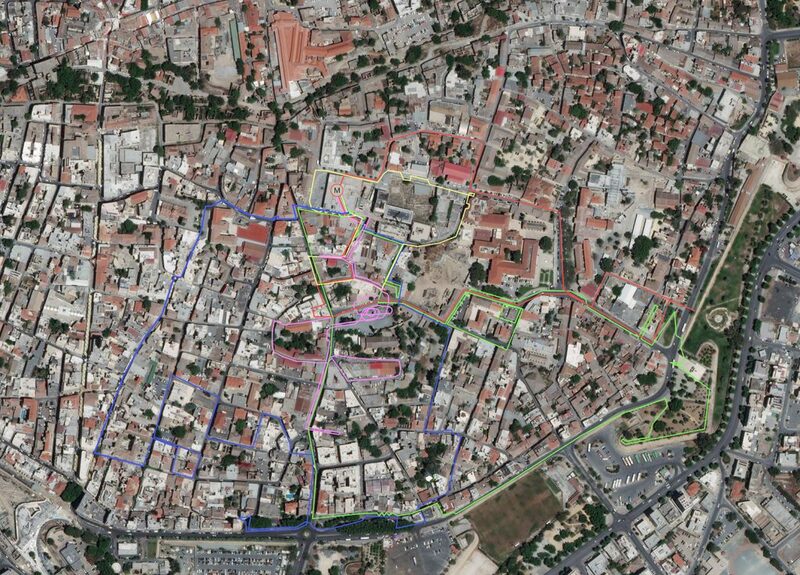 A Performative Walk 2 took place from December 2 to December 6, every day 18:00 at Municipal Market, Nicosia (CY). A Performative Walk 2 was part of Urban Emptiness Nicosia 2017. 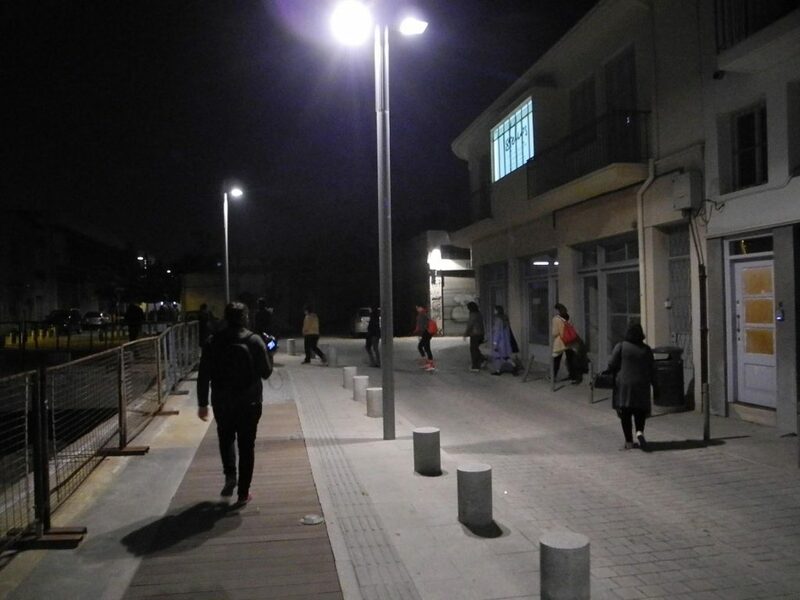 A group creates its own route, walked and re-walked the composed route many times, and during these walks, an elaborated performance-score is developed. A composition of movements, of positions, of physical presence and absence, of connections, of communicative lines. Everything appears and disappears organically during the walk. 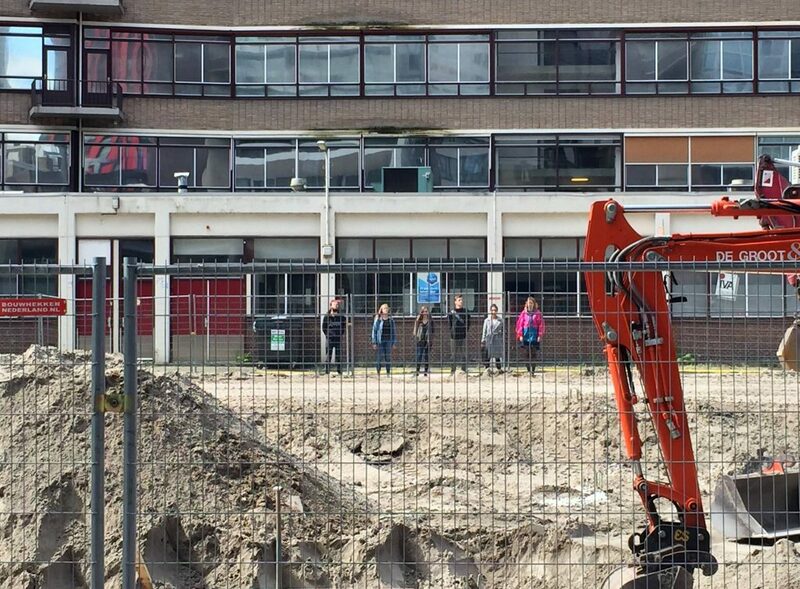 The project was created for students of Autonomous Practices, Willem de Kooning Academy,Rotterdam.